Where to begin? I've given much consideration to the subject of my first post. Should it be a fairly new restaurant in my neighborhood about which nothing has yet been blogged? (Soon, maybe, but not first.) Or perhaps a well-known Manhattan eatery at which I've dined regularly over the last decade? (Somewhat banal, and best withheld till I've run out of other ideas—possibly soon, but still not first.) Or should it be something entirely different? 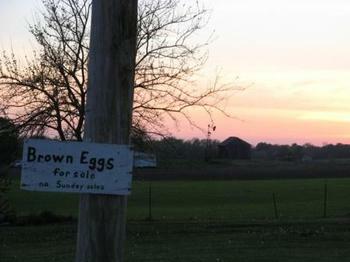 My Hoosier friend (who grew up on a farm) and I have often debated the benefits of urban versus country life. Ultimately, the discussion turns to satisfying our palates. I point out that Indiana has successfully evaded the scrutiny of Le Guide Michelin, whereupon my friend invariably asks, "where does your food come from?" My usual rejoinder is, "the refrigerator." When pressed, however, my answer ventures closer to the source: Fairway, Whole Foods, Trader Joe's, Perelandra, etc. All wisecracking aside, I thought it appropriate to kick off this blog by giving a nod to the source of our comestibles. 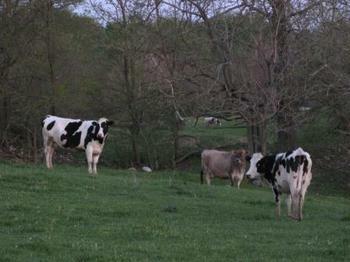 These pictures were taken last year during a visit to America's Heartland, and that's no bull. 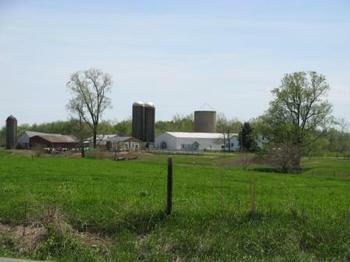 Happily, people needn't reside on Green Acres to grow some of their own food. 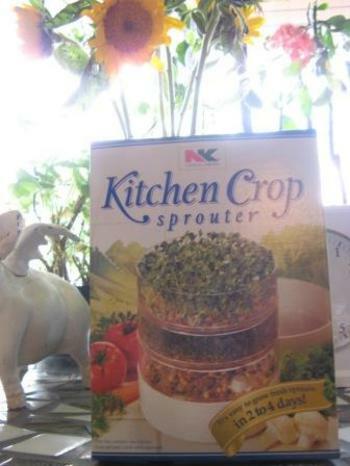 My Hoosier transplant has found various compact "farming tools" helpful as a substitute for forty mules and an acre (or something like that) in an urban setting. 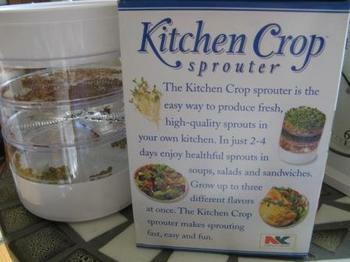 For instance, at $2.99, this Kitchen Crop sprouter (by NK Lawn & Garden Co.) is rather affordable and easy to use. 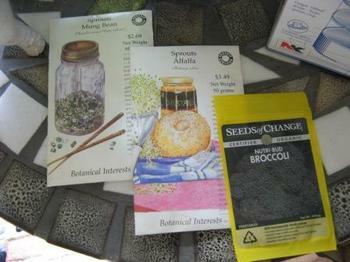 Our first effort consists of Mung Bean, Alfalfa, and Broccoli sprouts. They'll be lab-tested on an upcoming tuna salad sandwich. I'll keep you posted, so to speak, as to the results. Comestiblab: New York's agrarian heritage is evident in such names as The Bowery (from bouwerij, the Old Dutch word for farm), which refers to the historic location of Peter Stuyvesant's 17th century farmstead.